Creatures have always been the problem with magic and should be disabled on sight. Web of Inertia, Torpor Orb, Cursed Totem, Humility. I think that the best way to go is to play the control role in either an Azorius, Dimir, or Esper deck. There are enough board wipes and/or mass-bounce spells to buy enough time to try and run the creature decks out of resources, after which you can take over the game with CA engines while they sputter with synergy cards that require multiple creatures in play. 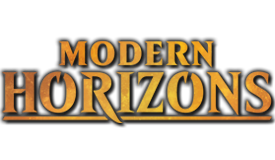 Do you guys think in decks with 3 or more colors Finale of Devastation will generally be better than Green Sun's Zenith? Is the ability to get any color creature and the extra potential wincon worth the extra G and inability to shuffle itself? I'm inclined to believe so, but it probably depends. I think its going to be better from a practical standpoint. You can burn it early as a ramp card (fetching Dryad Arbor), then recur it later for something big. GSZ's shuffle clause makes it a lot less desirable to burn it as a ramp spell unless you are mana screwed. I think that not shuffling coupled with no color restriction is well worth the extra mana. 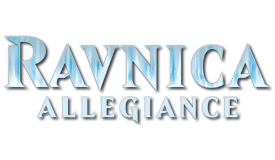 In my opinion, Tamiyo, Field Researcher, Ugin, the Spirit Dragon, Venser, the Sojourner, Teferi, Hero of Dominaria, Tamiyo, the Moon Sage, and Teferi, Temporal Archmage are my favorites in my Atraxa deck. Some of the Nicol Bolas planeswalkers are also pretty good. oh my, a top 10 won't be enough for the amount of cards i want from this set. So no Rakdos Rare Legend? 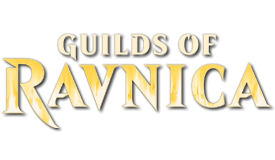 Wizards is Guildist? I think what happened is that red got an additional Legend/Planeswalker over the other mono-colors (7 vs. 6) and that is where the Rakdos Legend went. Probably Neheb, Dreadhorde Champion or Sarkhan the Masterless. 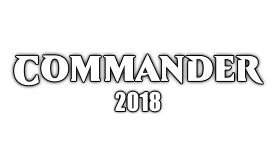 So, Command the Dreadhorde. Thoughts? Could be excellent value in a deck that has enough lifegain to support making it worth casting. Seems pretty legit, especially if some of the creatures you reanimate also give you life like Gray Merchant of Asphodel, Disciple of Bolas, or Malakir Bloodwitch. I also like that it is damage in one big chunk, so a single Circle of Protection: Black activation or similar effect will prevent the damage. Question for you Varina players. Can you help convince me to switch to her from The Scarab God? Like I know she gives you acess to white, but this new Oketra anNecromancer's Covenant are really the only things white contributes to zombies specifically that looks worth playing to me. Those and maybe Unraveling Mummy too. There are also the 3 white any tribal goodstuff cards like Mirror Entity, Radient Destiny, Kindred Boon. So thats like 6 cards white contributes to tribal, then of course you have all the white goodstuff like Smothering Tithe, Land Tax, Removal etc. But The Scarab God is just so powerful lol. He just does it all. He cares about zombies, he pseudo evades tax, his activated ability is better, he does indirect damage to each opponent, he scrys and he has beefy stats to boot. I am currently on the fence and this new Oketra is just so good its really tempting to switch but Scary God is just sooooo good in the zone. Is the handful of white stuff worth losing him in the Zone? In the end, I think it is just a matter of preference as you are right in saying that white doesn't give you a lot (you could add Wraths, Swords to Plowshares, Path to Exile, Anguished Unmaking, etc. to that list). The Scarab God is definitely a very powerful card and one I wouldn't mind being the Commander, and if that is working for you then I wouldn't necessarily jump ship. 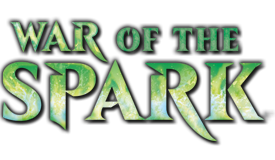 There have been some minor tweaks, but with the release of War of the Spark I'm going to do some overhauling. I haven't exactly figured out what I'm going to do, but there are some fundamental structural problems with my current build that I've been wanting to fix and it comes down to sacrificing a few sacred cows to do so. I don't see Gravecrawler in here. Is there a reason for that? Don't have a copy? It's a solid inclusion for an easy zombie attack trigger or sac fodder - absolute gravy with Skullclamp too. In that vein, I recommend Carrion Feeder too - without being a disgustingly combo ready sac outlet it still provides instant speed sacrifice for death triggers. I used to run Gravecrawler, but I really wasn't running much that synergized with it, so I eventually pulled it to run Vindictive Lich. I think its fine, but it was just so underwhelming when I played it that I was actively looking for a reason to pull it after a while. With that said, this all occurred before Varina was printed, and the synergy with Varina makes this much more appealing. I should reconsider it. How has Ghoulcaller Gisa worked out for you? I took my copy out of a build I pulled apart recently, and was thinking my Varina build could be the place for it. My deck isn't much for swarm though, so I wasn't totally sure. I'm a fan of Ghoulcaller Gisa in that it is one of the best sac outlets that generate more creature power than you put into it; it acts a lot like Krenko, Mob Boss in a Goblin deck and it helps feed recursion engines and allows you to minimally commit cards to the board and still generate a massive creature presence given enough time. If your meta supports more grindy games, then Gisa can be an all-star. Are you finding decent value from Gisa and Geralf? I used to run them as commander, and as much as I wanted them to work out well, they really didn't pop that much. I think they work well if you're busting out big threats every turn and making strong explosive plays around them, but they didn't do much for my low costed zombies. They are an invaluable source of card advantage in the deck and one of the better creatures to play post-Wrath. I highly recommend them. How kind is Graveborn Muse to you? She seems like an auto-include here, but I left her out of my list on account of her absolutely bludgeoning my life total. I prefer to run her in a build with a few zombies, but when you have an entire horde she can really cut into your clock, and I find with this commander my life total gets chipped away reasonably quick. I currently run Midnight Reaper as a reasonable option for draw with a little less risk. I've grown to be less of a fan. I usually wait to someone Wraths the board to play it, but the deck has gotten to the point where its not really a necessity anymore. The only caveat I would give you is that if your meta is full of graveyard hate then they can shut down a lot of CA engines in the deck, so in that case I would try and balance draw effects and graveyard recursion effects. I noticed a few of your removal spells are a little on the high-costed side - Dregs of Sorrow, Zombie Apocalypse and Dark Salvation particularly. I have a couple of direct recommendations there, and one indirect - Retribution of the Meek and Citywide Bust mostly will keep your horde unscathed and clean house for you. Retribution is a bit costly to pick up these days, so I run the latter. Zombie Apocalypse isn't really a removal spell in this deck; its all about the mass reanimation. Dark Salvation was s surprise all-star removal spell. I highly recommend it. The other removal I run is Archfiend of Ifnir. He's in that tricky 5 CMC slot, but he's totally worth it. Because Varina's trigger causes discard anyway, you build an army, cast Archfiend, swing, and pre-combat the board just clears. He really is devastatingly good. I run a couple of other discard outlets with Forgotten Creation, Necromancer's Stockpile and Geier Reach Sanitarium, but he's worth considering nonetheless. I like the idea of running Archfiend of Ifnir. 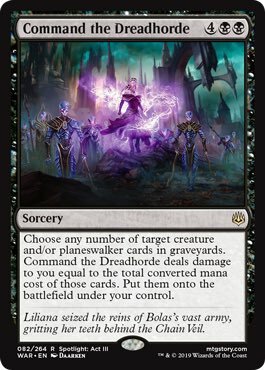 I hadn't really gone back and looked at things that might synergize well with Varina other than whether they advanced the Zombie theme or not, but this is totally better than Dregs or any other Wrath effect. I also like the idea of Necromancer's Stockpile and Geier Reach Sanitarium. You mentioned in the spoilers thread that your 5CMC spot is causing some wonkiness with your curve. I can see a couple of cards around that area that might be worth considering dropping - Vengeful Pharaoh seems really conditional (as well as B heavy), Gempalm Polluter is a pretty conditional life drain too. Lastly, how often are you getting Josu Vess, Lich Knight's kicker cost to work out? It's a lot of mana to pay, and the only way to get his pals is to hardcast him, which seems rough - I don't know about you, but my list is lean for mana quite often. Vengeful Pharaoh hardly ever gets played; he gets discarded to Varina and kills anything that dares attack me. Gempalm Polluter also never gets played; he gets cycled for 2 mana and gets recurred. Josu Vess, Lich Knight is okay. At 4 mana he's fine, and in a game that drags out he comes back and is a one-man army one you get to 10 mana. I guess a lot depends on your meta, but if games last enough turns then Josu Vess is pretty good. The cards I'm looking at cutting in the 5+ mana range are thing like Necromancer's Covenant, From Under the Floorboards, Stir the Sands, Army of the Damned, Grimgrin, Corpse-Born, Sidisi, Undead Vizier, and the aforementioned Dregs of Sorrow. I'm also going to probably cut Moan of the Unhallowed and Graveborn Muse from the 4-slot. I think that cutting the non-creature spells that make Zombie tokens and don't do anything else need to go as they don't have any synergy with the mass-reanimation spells, and I can get cheaper and better by sticking with creatures. The deck looks really cool. I've really enjoyed playing Varina so far, hope it's going well for you too. This was my initial concern as well, but if we are only running 3-4 Amass cards in a 99-card deck then I think we can safely say that those Amass cards will create tokens 90% of the time. I would think that you would need to have 10+ Amass cards before you start running into having multiple Amass cards in hand at once, and even then there are enough sac outlets and other reasons for Zombie Army tokens to die that you can manipulate the odds overwhelmingly in your favor. I think that for Commander purposes, 'Amass X' can reliably be considered 'Create a X/X Zombie token'. Soul Diviner is at a minimum an interesting card, but you really need more stuff for him to remove counters from in order for me to really get excited about it. The thing is that his default of being "just a 2/3 for 2 mana" isn't necessarily all that bad in a dedicated Zombie deck that wants to beat face. I don't think that I would go out of my way to run sub-par cards that have counters that I want to remove, but it is a nice feature to have when it comes up. For a deck that needs to often rebuild post-Wrath effect, having as many different CA engines in the deck as you can is always welcome. For Jace, Unraveler of Secrets, if the the -2 ability was for "non-land permanent" instead of bouncing just creatures then I think it would see some significant (albeit not necessarily widespread) play. As it is, its just not good enough. Forgotten One posted a message on Which wrath creature(s)? I personally believe it is a very bad storytelling practice to tell a story where you can't let the bad guy win. That should always be on the table, and a writer should shape their villain's agenda with an eye to potentially letting them win so that the stakes are real. But that's not how it's done. Stakes are seldom real except in horror. Didn’t the bad guys win in New Phyrexia? Didn’t Nicol Bolas win on Amonkhet? As for the actual card, I think that this will make some waves in EDH and potentially Standard depending on whether a Planeswalker deck emerges from the metagame. Forgotten One posted a message on Help with Massacre Girl MBC deck. What creatures to run? The best way to generate fodder for her is Endrek Sahr, Master Breeder. 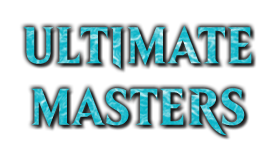 At a minimum, when you cast Massacre Girl with Endrek Sahr in play, the 5 Thrulls and Endrek Sahr will die along with anything else with toughness 7 or less. I would also consider using Palace Siege as another Oversold Cemetery effect. Another card to consider is Pitiless Plunderer. I'm starting to think that this was an April Fool's joke.... the cake is a lie. In all seriousness, I had just opened up a TO account with the intention of putting all my decks there when this announcement came out. I held off doing anything with the hopes of just keeping everything here on MTGS. 4-1/2 months since the announcement, we don't even have any information about what is going on. Even bad news would be better than no news at this point. Forgotten One posted a message on Launch Giveaway! There are no limits set for sigs. The sig editor is telling me there is a 512 character limit, so it won't let me "fix" the mana tags in my signature. Furthermore, it must also be counting the url in each link as part of the character limit.